Here at Positive ID Labels, we produce a wide range of food labelling for our customers which range from sandwich labels to best before labels. We are always looking at ways to expand our capabilities and produce more for the customer which now includes egg labelling. In November 2014, Positive ID Labels acquired Danro Ltd. Danro had a turnover of around £600,000 per year with a significant element coming from egg labelling for the many small egg production operations. Whilst Danro had no digital capability, the purchase increased our flexographic press numbers and included a “Tackyboy” printer that was dedicated to egg labelling. These labels are each specifically produced to the customer’s needs. However, they all include the required information such as best before, size, class and an explanation of egg stamping. We receive numerous orders each day and these labels are becoming increasingly popular so if you are interested please don’t hesitate to contact us. Also, our egg labels are suitable for egg distributors as we have produced labels before which display the customer name on the label. In the past, we have also produced labels including barcodes, logos/pictures, addresses and telephone numbers. We will always produce the labels customised to any specific needs or requirements. Also, we will always produce the labels in the colour you wish. If you require another type of food labelling, contact us and we will do our best to cater to your needs. More information regarding food labelling, sandwich labelling e.t.c. can be found on our website. 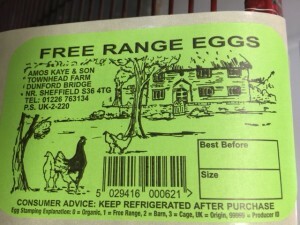 An example of one of our egg labels is on the left and was produced for a farm who produce free range eggs near Sheffield. 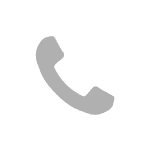 You can call us on 01332 864895 to discuss your egg labelling order or you can order direct through our sister website on the Danro egg label shop.